1. Can you explain briefly the type of work you carry out? 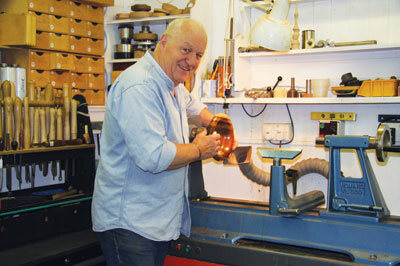 Jobbing/commercial turning for architects, furniture makers and antique furniture restorers - and small decorative items for my personal pleasure. 2. Tell us about the type of tuition you offer. a year at the Stanton Guildhouse, a rural workshop following arts and crafts principles. Additionally, a new venture has been to provide tuition for students at the Peter Sefton School of Furniture, a centre of excellence based in Upton-on-Severn, Worcestershire. I enjoy the freedom a lathe provides whether producing commercial commissions - 15.m tall paschal candlesticks for local churches - or small boxes and similar precision turned items. I dislike newcomers to the world of turning being encouraged to purchase expensive 'goodies' in the belief that the latest gizmo will produce the perfect form. To study and master the elements of traditional craftsmanship will produce finer, long term results. 4. What direction do you see your work taking? 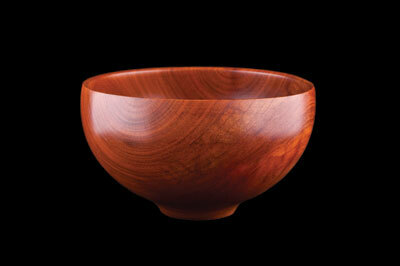 More of the same, particularly towards eccentric turning; and finding the time to turn wood purely for fun. Attend a woodturning course that offers a try-before-you-buy facility on items such as lathes, tools, chucks and bandsaws. 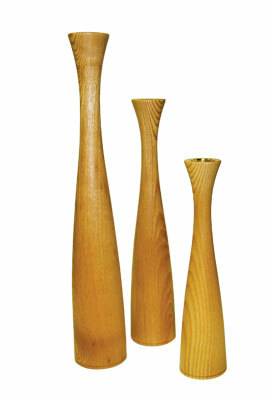 Practice will reap satisfying rewards; and always remember that for most, woodturning is an activity taken up for fun! This depends on my mood. Anything from Queen, Ella Fitzgerald or Andrea Bocelli. I am currently reading One Man's Wilderness (an Alaskan Odyssey) by Sam Keith and Richard Proenneke. 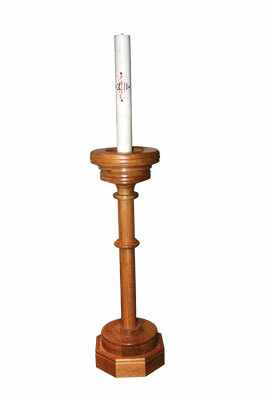 I am working on initial drawings for another church paschal candlestick - at 2.4m tall this will be my biggest to date. 8. Which is your favourite material to work with? That would be English ash (Fraxinus excelsior). Jean-Francois Escoulen for his ability to produce beautiful items that many may only struggle with - I have had some success here but look forward to achieving much more. 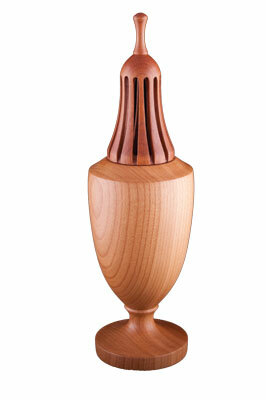 There have been so many recent developments across the whole spectrum of turning. If I had to choose just one it would be the vast amount of technical information available through the internet, its video clips and forums. Five years hence is a huge jump and as I have no wish to retire, all I hope for is to continue to turn items purely for fun. I regret not taking up professional woodturning earlier in life. 13. What are your other interests besides turning? I particularly enjoy photography and walking holidays. 14. What three things in your workshop could you not do without? First, my trusty Vicmarc lathes. Second, the contents on my tool grinding bench: 200mm (8in) white wheel, 150mm (6in) Ruby Red wheel and the Tormek system. Together they provide the range of tool shaping and sharpening facilities I require. Third, my tool cabinet containing an array of precision measuring tools.